Fairs and festivals are awesome, and one of the best parts about them is the food. Sure, it's all deep-fried and terrible for you, but it's so delicious. It's also always on a stick, which makes eating fried food even easier for us fat Americans. The trouble is, frying at home is sometimes a daunting task. Not only does it require a lot of specialized equipment such as a fryer and a spider, but you also need to keep the food moving to avoid touching the sides of the fryer and getting too brown. 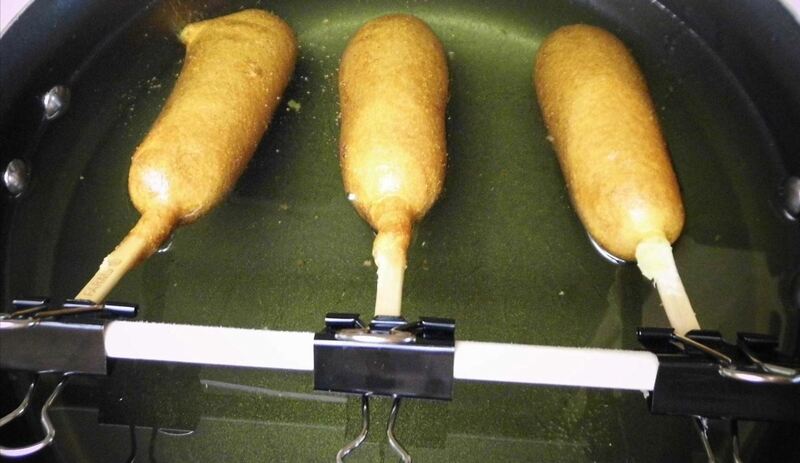 If you have ever seen how they fry food at fairs, they often times use big holders to keep food in place while in the oil. These holders allow for the oil to coat the food evenly on all sides, which prevents uneven browning and allows the food to be removed from the oil easily. I am here to show you a way to replicate this in the home environment on the cheap! Before you know it, you'll be frying and stuffing your face like a pro in no time. Wash and dry a large pot. 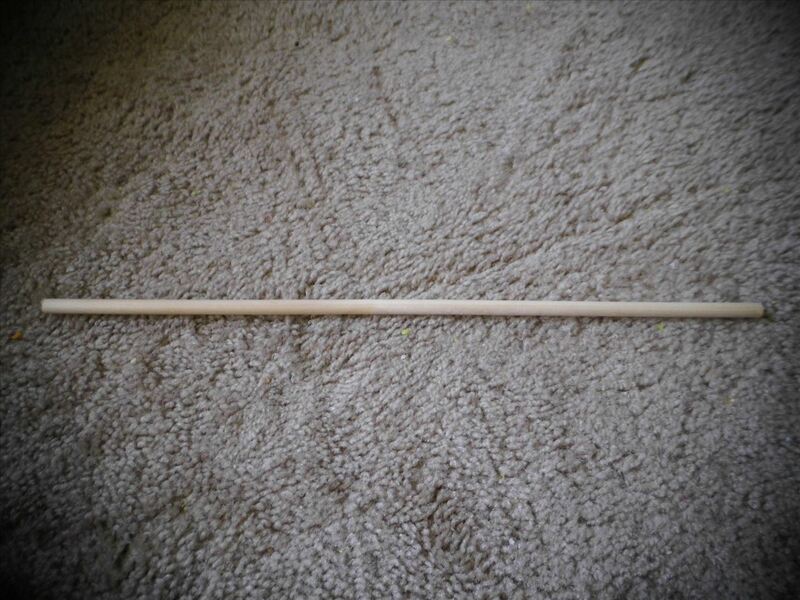 Place your dowel on top of the pot and measure it so that there is an inch or two hanging off either end. 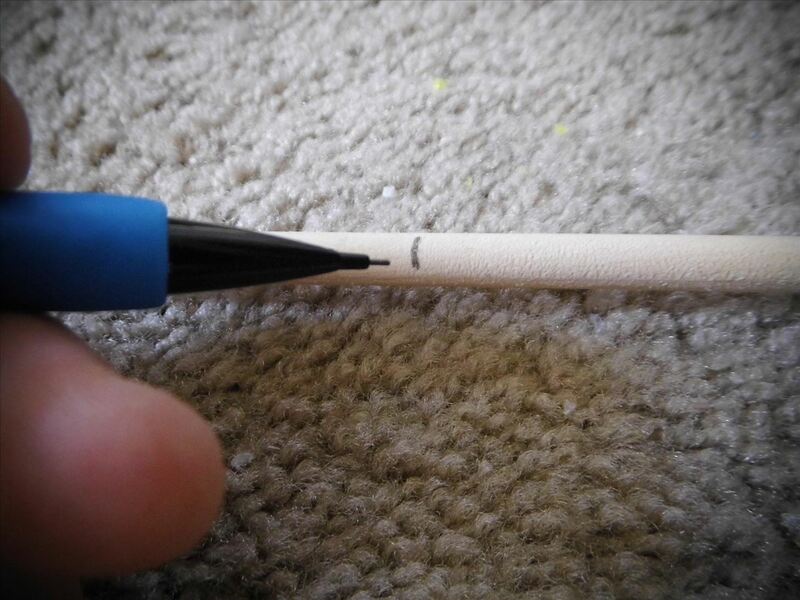 Using your pencil, mark off where the dowel needs to be cut. Cut your dowel to size. I used a hacksaw with a wood blade. It took about 30 seconds. 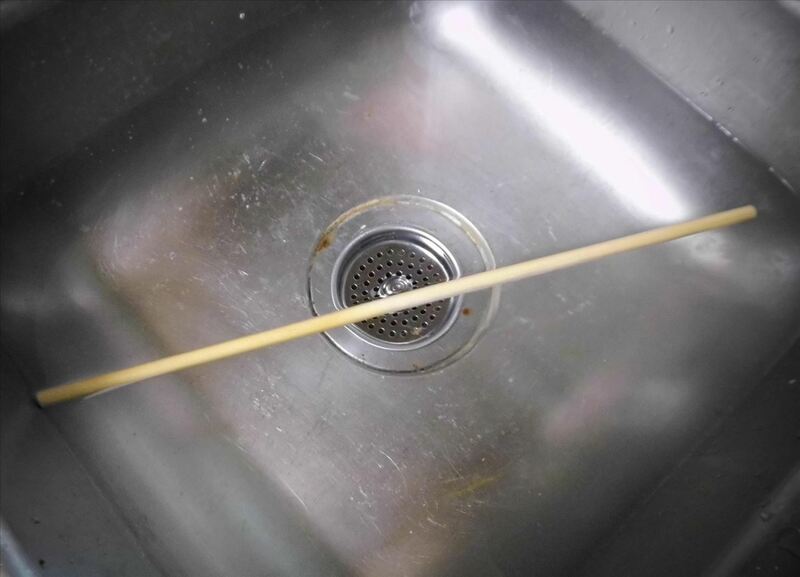 Soak your dowel in water for at least two hours. 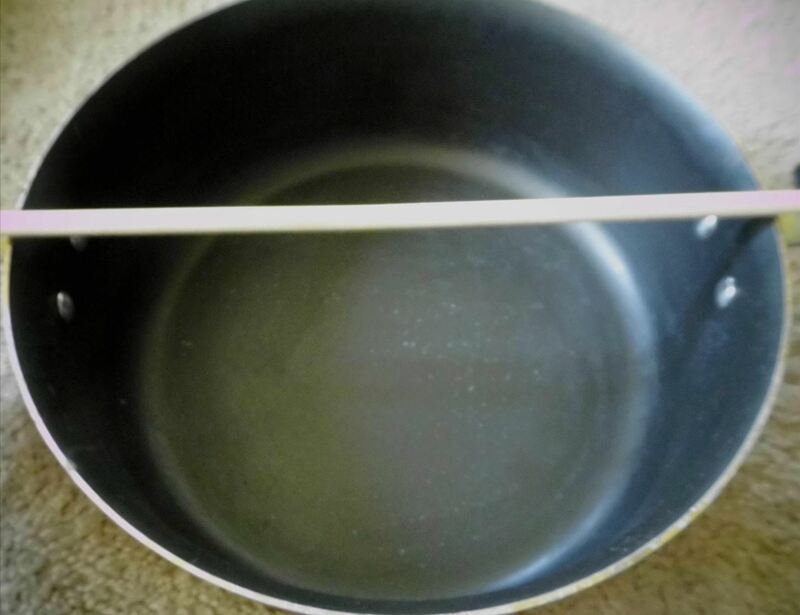 This is just to ensure the wood doesn't burn on your pan. 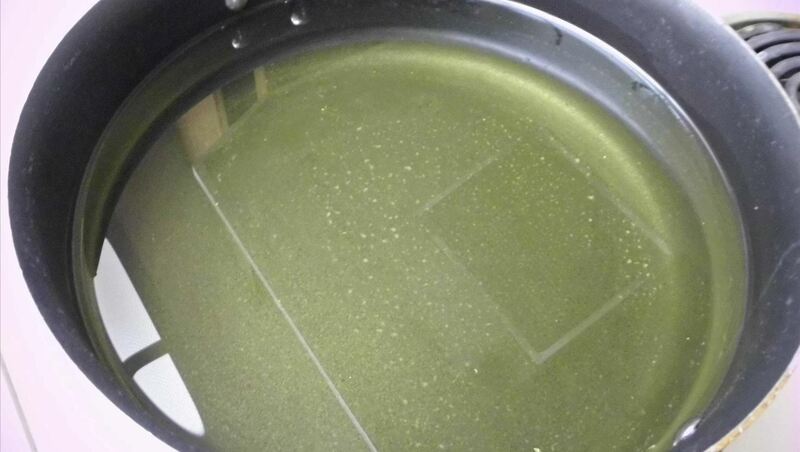 Fill a pot with oil on the stove and heat it up. The temperature you want depends on what kind of oil you use (and its smoke point). 350 is a good general starting point though. Begin assembling the rig by placing a binder clip on the dowel. 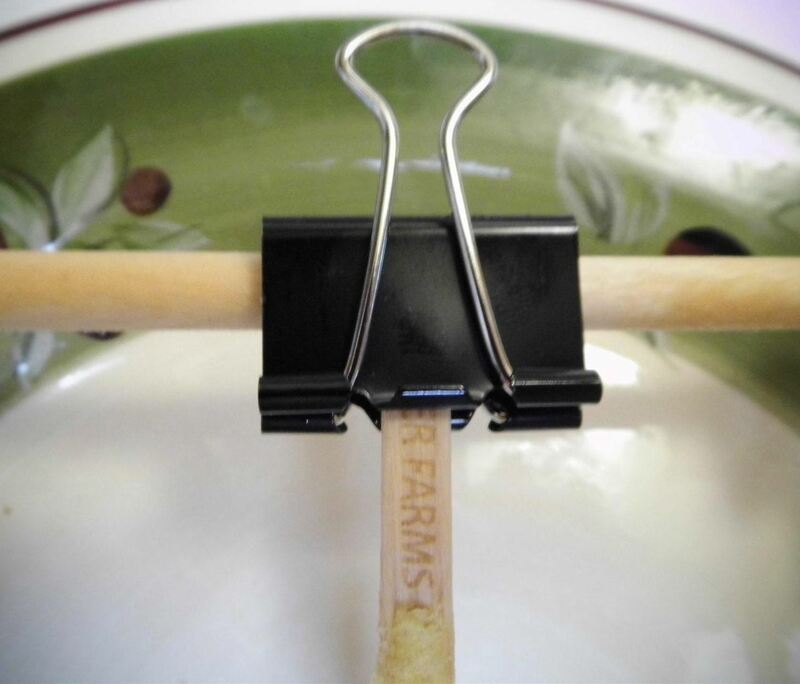 You then place your sticked food between the clip and the dowel. Depending on the size of your pot, you should fit three to four on one dowel per batch. More will just overcrowd the oil. 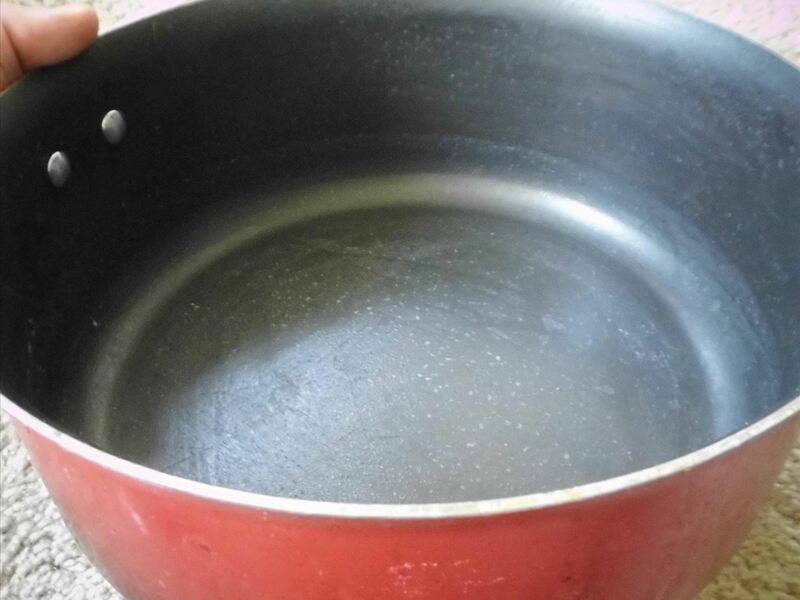 When your oil is nice and hot, place the rig over the pot with the edges of the dowel resting on the edges of the pan. Introduction of the food will lower the temperature of the oil, so be sure to boost the temperature to compensate after you put the food in. If part of your food is exposed (like mine is here) then simply flip the rig over after a minute or so of cooking. 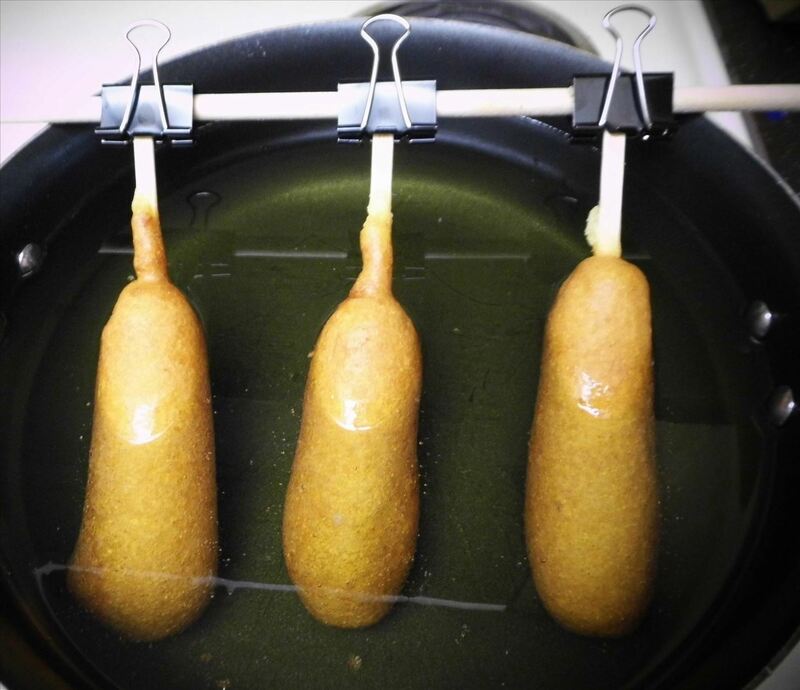 As soon as your food is golden brown and delicious, just lift the entire rig up and evacuate to a cooling station. 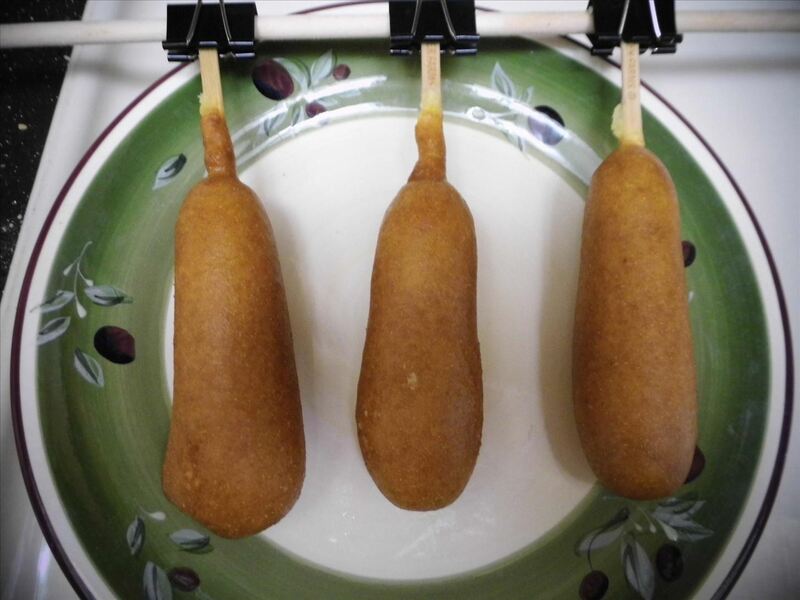 How would you fry foods better? Sound off in the comments section below! 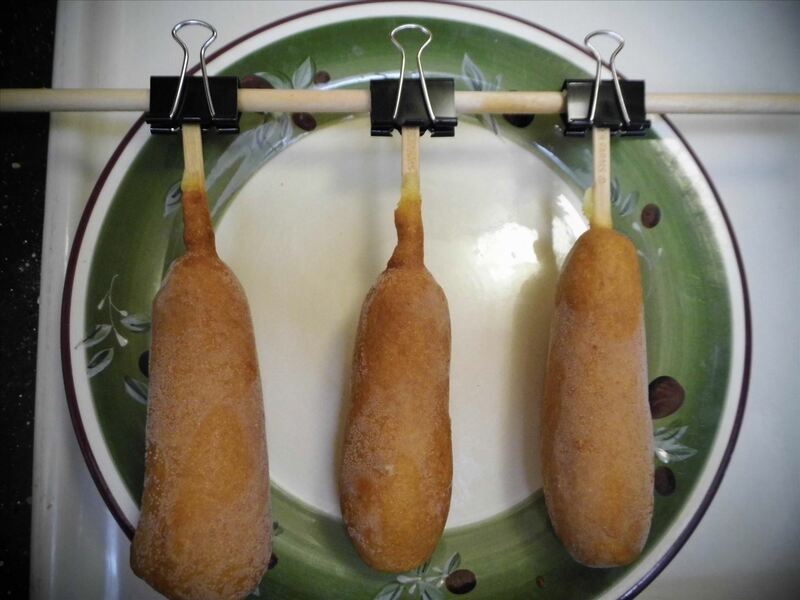 I love corn dogs, now i dont have to bake them!! Thanks for the idea. You are welcome! I think this is most useful for cooking multiple sticked items at a time!